Well, after seeing in the New Year in Bali and then travelling variously to Perth, Sydney and then Zambia, I’m excited to announce a new chapter in my life, which starts in just a few days! UNICEF UK have just appointed me their new Television Manager, a full-time role in which I’ll be looking after their broadcast TV output, working with their celebrity Ambassadors and supporters and international projects to generate documentaries, formats, telethons and other fundraising programmes that will air on TV. I’ll be building on their stable of very successful programmes, including Soccer Aid and Ewan McGregor’s Cold Chain. I’ll be based in the London office but will undoubtedly travel as required to UNICEF projects. As you can imagine, I’m more than a little excited about this job. I’ve been a supporter of UNICEF since 2010 when I did a fundraising trek with Goodwill Ambassador and fellow TV producer Russ Malkin. Having seen with my own eyes where some of the money donated goes to help kids and their families around the world, I’m thrilled at the opportunity to be a meaningful part of the UNICEF UK team and bring my TV experience and expertise to an organisation whose aims and activities I wholeheartedly believe in. It also means that after two years of a fairly nomadic existence, I will be “of fixed abode” again, living in London for the first time in over 10 years. Happily, I’ve just found a lovely little place in Wandsworth Common – my old haunt and a beautiful part of the city, with lots of trees and green open spaces – and it will be good to get settled again, after living life out of a suitcase! I can’t wait to get started with my new colleagues at UNICEF and will do my best to share my new adventures there with you whenever I can. Meantime, as you’ll all be aware, there are many aid agencies working in Nepal right now to bring help to the millions of people who’ve been affected by the devastating earthquake. 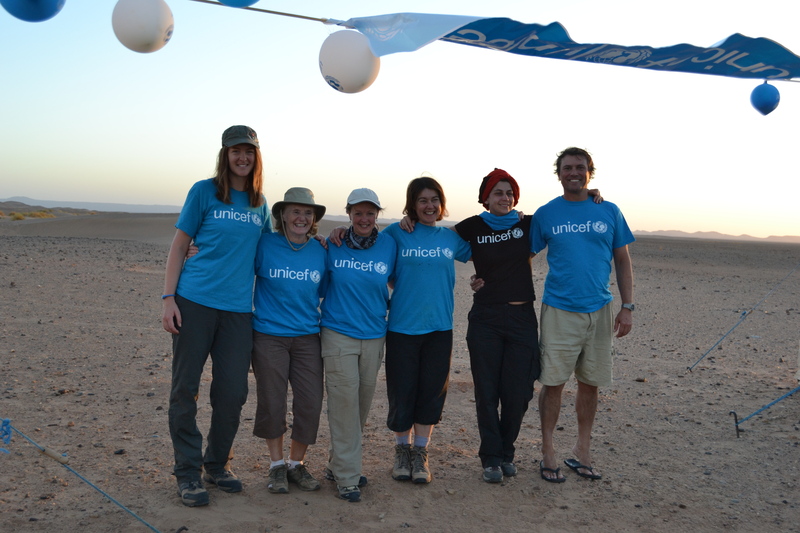 UNICEF are particularly well-placed to deliver help as they are already permanently based there. I’ll leave it to Ewan McGregor to tell you more about what they’re doing – and if it inspires you to donate a little something to help, that would be wonderful! This entry was posted in Adventure Travel and tagged broadcast, celebrity ambassadors, charity, Ewan McGregor, Soccer Aid, telethon, TV producer, TV Research and Development Manager, UNICEF on May 12, 2015 by Jeanie Davison.